Anyone tried the Creality CR-10 3D printer? Seems to be getting good reviews. Costs around $355 with free shipping. I have it. My first 3d printer so I can't compare. I hooked it up to a octoprint pi setup. I really like it. I have already changed the hot end for a volcano setup. I'm also looking into the Prusa i3 Mk3, for about twice the money. It seems to have some unique features and can allegedly print polycarbonate and PETG, so it might last me quite a while in terms of its capability. I was surprised to learn that PGA and ABS are actually flammable! For electronics enclosures, I want a material that is both strong and won't sustain a flame, and I want a machine that can print such non-flammable materials. Not sure yet what materials and machines those are, but this requirement may end up narrowing the field of contenders considerably. If anyone has other machine or material suggestions, I'm all ears. What are those unique features of the prusa? @gohan Well, two that I remember off the top of my head is that it has a flexible printer bed that attaches with magnets. So, when you're done, you flex it, and your model pops off. No scraping with a putty knife. The other is that it grips the filament from both sides (not just one side) to feed it into the print head, so allegedly it doesn't lose traction. There are maybe some more, like it's matrix bed leveling, although I'm not sure how unique that is. I need to take a closer look at what makes it different. Allegedly, though, it can print a lot of different materials, including polycarbonate, using just the stock build without upgrades. Also, Prusa claims that it's easier to assemble than the Mk2, fwiw. @gohan Which do you recommend? LE. You must first define the largest size you need, than the resolution you need, smaller nozzle yelds better accuracy/resolution but requires faster speed since it pumps out less plastic, of course you can print 3 days in a row for a 100x100mm box, but are you willing to wait that long? A moving bed solution can't go over 70-80mm/s without ringing and using a 0.4mm nozzle at that speed is not meant for large objects, a corexy can run at 150-200mm/s if well tuned. A larger Volcano style 0.8mm nozzle is limited by the amount of plastic it can melt (30-35mm^3/s) so 60-70mm/s is the max you can achive anyways, so moving bed like a CR-10 is no longer a limiting factor. As said earlier it all depends on your build volume needs. There is also a cheap desktop printer from tronxy that does perform quite well for the 100$ price tag (it's a kit that you need to assemble, look at makers muse channel for reviews). But if you want a pre assembled printer there are very few choices. They unbox it and put it together. They notice all kinds of flaws in the design/deliverable which they then go on to fix through upgrades. Finally happy with how it performs, they gloat how great the printer is and give it a "thumbs up." However, this just seems wrong to me. They are not giving a thumbs up to what came out of the box but rather to an upgraded/fixed printer that they felt compelled to spend additional time/money to correct/improve. I maybe would agree that if their upgraded printer were boxed up and sold for the original price, then, yeah, maybe it would be worthy of a thumbs up. But that is never the case. You might think the manufacturer would get wind of this and fix their product. But no, that doesn't happen either, and the farce continues, now bolstered by "positive" reviews. For sure, all the sub-$200 printers have fit this pattern also. Well I bought a cheap one (DMS DP4, just over 200$ and most of the assembly already done) and the only extra investment was a glass plate (less than 10$). I could probably change half of the parts to have marginaly better printing results but I'm quite happy with what I have now. I bought Anet A2+ about an year ago and can recommend it only if you have too much time and want to learn how 3d printer exactly works. The basic assembling took around 5.5hours. Of course it was cheap ~160€ delivered on flash sale at GearBest and was delivered from Europe so no import taxes. But so far I've spent some 50-80€ and X hours for upgrades..
With these upgrades the print quality is now quite ok now. Btw. Octoprint is quite nice tool to have with 3d printer. Did anyone try the Anet A8? I am currently thinking about buying one. It would be my first 3D printer and I do not want to spend more than ~150€ (at least initially). It seems to be a clone of the Prusa i3 and quite capable if add some cheap/self printed parts and invest some time. I don't have the time/knowledge to build a printer on my own from scratch but I am pretty sure that I can those upgrades. Or are there any alternatives in that price range that you guys can recommend? Main idea is to print cases for my electronics projects and some small other stuff from time to time. I read it prints decently but not like cr10 or prusa. The downside is the acrilic frame that is not going to be very durable over time. When I bought the Geeetech it was kind of a trend, and 4-5 of the members in my local "nerdclub" bought it. They have all bought a CR10 later on, and are trying to convince me, that I should buy one as well, as they think that it's much better in quality (also it's considerably easier to assemble.. 30 minutes from unboxing and you are able to print). Currently the geeetech does it for me. Did anyone try the Anet A8? I am currently thinking about buying one. I would recommand a corexy or a delta. I'm not expert of deltas, I know there are some good. Some good corexy builds are for example : hypercube like tbowmo said, d-bot and voron.. Mine is a corexy I built myself from different designs I saw. check the build&reviews of the printbed (for corexy) if there is any cantilever problem. Strong rods (8mm diam is too cheap..). These points will help a lot the machine to keep its calibration longer, print fast, without wobbling, so a better print. I think, a cnc in general, you can ask people working in this field, always need to check the calibration or recalibrate time2time for a good job. so what expect of a dirty cheap cnc.. This is a special process, control melting temperature, different speed parameters, push&pull filaments to prevent oozing, bed leveling because if first layers are not good then it won't be great etc..there is some learning curve, that no matter you buy a cheap or exepnsive machine, you'll need it. i like cube structure, it's easier to enclose if you want to use different filaments. and if enclosed, using hot temperature for a print, check that critical assembly parts have not been printed with PLA if you bought a kit, as they could soften a very little bit, and lose accuracy during print. I'm sure i forget lot of interesting details. It's not very complicated to understand how it works, just needs to read and test. very interesting. then you'll have your mini routines for each tasks. I can understand your point too, about the needs. of course, there is nothing wrong. just my personal point of view. That's what i would advice to a friend. Sure, easier for him, as i could also help him.. I'm pretty sure that after you first small printer, you'll want a better, wider one that would be almost twice buy ->"half" bad choice. and we're just talking about the size, not all aspects. it's like buying a 30$ drill machine when you know you would use it a lot. if it's about a super cheap 100$ printer budget, and you're sure to not invest in future, it's just a short term toy, then i think you're right, and you'll get what you pay for. I think with 250$ you can build something pretty nice. you'll have to study the opensource assembly manual, but it's a more rewarding learning curve. buy printed parts needed by the build on ebay or to some friends who can print them for you. you can find for example dbot printed parts on ebay. I just checked this one. I don't know actually which one is the best diy and documented build. on wiki, or thingiverse, check the bom, and source parts on aliexpress etc. there are also very good price for vslots locally in eu or usa. Note: you could also buy these parts included with the printed parts kits, but of course that would be more expensive..
read, assemble, read, calibrate etc. Rewarding, because finally, you can answer any problem you encounter. Yes, the heated bed is bit weak but I think its quite weak on most sub 500€ printers having bigger beds than 200x200mm. Those are persuasive arguments, but I'm left wondering why none of the big youtube pundits on 3D printing seem to recommend or use an evolution hypercube or the like. Is it because there are no affiliate links for them to cash in on? Or is it something more fundamental? @pjr I own an Anet A8. I do print ABS, but mostly small stuff. I have tried bigger things and have had warping and layer separation. The hottest I have gotten my bed at the stock 12 volts is about 102°c. There is an adjustment on the power supply that will allow you to increase the voltage, but I haven't played with that yet. The main board can supposedly handle up to 24 volts, but you need to watch the wiring to the heat bed as the stock wiring harness is under rated and won't handle the increased amperage. I think though if I could up the voltage a bit to the bed, I could probably get the bed to possibly 110 or higher. The other thing is an enclosure. I have read that an enclosure is one of the keys to printing ABS with the A8. It does a pretty good job with PETG though. I don't know if it's about "affiliate" links, it could be. But I don't think it's because of bulky machine. else they wouldn't review the more expensive printers like ultimaker&co which are not small. do these 3d printing pundits use a dirty cheap printer all day?? because we can often see better printers behind them on their bench, like ultimaker, delta kossel etc..
One of the goal to build from scratch, imho, is to achieve same quality as expensive printer, for very cheap. else sure that's not interesting to invest time. That is the deal! you can find on youtube people saying since they switched to corexy hypercube etc, from prusa i3 style, they live a "dream". or take a look at reprap forums what non affiliated gurus says there, their builds etc. Maybe they will tell you that a 100-150$ printer is as good as an hypercube..but i don't think so. Fair enough! I don't want to influence anyone in his choice, I just shared my opinion, better is to dig in google, reprap. for abs, yes it's better enclosed because it doesn't like air&temp variation around. and fumes are toxic too! do these 3d printing pundits use a dirty cheap printer all day?? because we can often see better printers behind them on their bench, like ultimaker, delta kossel etc. He never really says why he chose it, instead of some other printer, for that purpose though. He places it inside a wooden box when he wants to enclose it. Thanks everybody for all your feedback. It has been very helpful! regarding print strength, another vid if you're interested, it's about volcano hotend. strength should not be influenced so much by the printer I think, except its calibration, important. Strength can be improved with the right filament, hotend+nozzle size+settings, and the way the object is printed (for exemple if force would be applied in same direction as printed layers then it could delaminate). If I'm understanding correctly, the main argument in favor of the hypercube is that it can print without ringing at a faster rate than an i3 design and that it's easier to enclose because it already has a box-like frame. However, if I'm understanding @executivul correctly, none of the existing hotends, not even a Volcano, can print faster than an i3 anyway. Right? So, then I guess the argument is that maybe, at some time in the future, more capable hotends will emerge, at which time a hypercube owner will be better positioned to upgrade to a faster printing machine than, say, an i3 owner. Does that pretty much sum up the argument in favor of the hypercube (i.e. corexy design)? Or is there more to it than that? the speed and melting limitation was regarding nozzle size I think. you could set print speed faster, if using 0.4mm nozzle vs 0.8mm. And it would be easier with a volcano, as heat chamber is wider than classic hotend (e3dv6..). For technical parts, that I need quickly, or stronger, with a good aspect but less details: 0.8mm nozzle with 0.5mm layer is good compromise for me. Result is nice and print time saved is great. (slower speed at max, but gorgeous extrusion). For finer things and details, I use <= 0.4mm nozzle, and <= 0.3 layer. Great result, but more print time, even with more speed, because of finer extrusion. Depends what you want to make. You may need to print slower with petg than with pla etc. @scalz I'm trying to arrive at an apples-to-apples comparison between an i3 (let's assume Prusa i3 Mk3) and a corexy (let's assume Hypercube unless you want to name something different). So, assuming they are outfitted with the same size nozzles, etc., can a corexy print faster than an i3 without losing print quality as compared to what the i3 can produce at its fastest (non-ringing) speed? If there's a better way to compare the two, then I'm open to that. So far what I've heard is that a hypercube can move faster without ringing than an i3, and so I'm wondering what, if any, tangible advantage that translates into when it comes to actual, practical use. My Anet A8 came stock with a 0.4mm nozzle. I have never tried anything larger, but I know you can purchase nozzles down to 0.1mm. What size filament does the Volcano use? Standard these days is 1.75mm, but many of the older 3D printer used 3mm. I have worke don an old BFB 3D Touch at our school district where I work and that uses 3mm Filament. I have printed PETG at up to 80mm/s, but the quality wasn't near as good as when I printed slower like 40mm/s. The one thing I like about using PETG is that you get a similar strength to ABS, but you don't need the higher bed temps to print it. I print PETG at bed temps of 60°c to 70°c. I have on occasion gotten some corner lifting with PETG on larger prints, but overall not bad. Depends on what you have on your bed for the print surface. @neverdie What kind of print speeds are you going for. The quality at higher speeds I think depends largely on the rigidity of the frame of the printer. Somehting like mine which is considered an I3 clone which is an open frame printer vs something like you mentioned, a hypercube is going to be different. @dbemowsk I'm just trying (and apparently failing) to understand why someone would want to own a hypercube instead of an i3. OK, so the frame on a hypercube is more rigid. So....what? Does it do better prints? Does it do the same prints faster? i.e. why do I care? Even if the i3's frame isn't as rigid, maybe it's already rigid enough that being more rigid has no discernable advantage. Anyhow, partly for family reasons, I think I'm probably going to order the Prusa I3 MK3, even though production is backlogged with orders. 1. It seems more kid friendly than what else I've seen, and 2. its very low noise means I can run it at night without waking anyone up. My wife did not at all like the noise my CNC makes even during the day, so that's partly why it was banished to the garage. 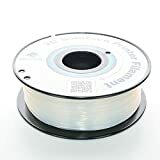 Maybe we can run the Prusa inside the house, provided there exist print filaments that are non-toxic when used for 3D printing (I haven't yet looked into that, but maybe PETG is one such filament). The other, new reason, now is that maybe I can leverage Tom's research on filament properties. I hope I can be fairly confident of getting the same results as him, provided I use the same print profiles as what worked best for him on a particular filament. Since he's using an MK2 to develop his data, the results should translate very nicely. I'm hoping this could save me a lot of testing and trial-and-error. @neverdie I didn't realize that was your reasoning behind the questions. One nice thing about owning a 3d printer like the I3 is that even though it may not be quite as rigid, you can print parts to make it more rigid. I saw this meme on the Anet group that I am on on Facebook: You buy a 3D printer to print a 3D printer and then return the one you bought. There was the talk of printing in ABS and PETG. Using the I3, you should be able to print ABS if you build an enclosure. As for PETG. that you should be able to print fine straight out of the box. You buy a 3D printer to print a 3D printer and then return the one you bought. And from what I've seen in reviews, the corollary to that would be: buy a 3D printer that, even if it's bad, is at least good enough to print the parts needed to eventually make itself print well. Looked at that way, 3D printers are a marriage made in heaven as the remedy for sub-par Chinese quality. It would be cool to have a printer that had both a regular hotend (for finely detailed print jobs) and a volcano hotend installed on it. Maybe then changing from one to the other might be as easy as changing which one gets get fed the filament. @neverdie I use XT60 and JST connectors on my hotends, 2 minutes job to replace, including heating and removing filament. You seem to get the strong points of a cube design, speed, sturdiness and "enclosability". The kinematics can be corexy or simple cartesian (flsun cube) or even wicked gantrys like the ultimaker. As long as you are near the 30-35mm^3(cubic)/sec melting limit of the Volcano heatblock you are maxed out and can't go any faster in speed. Knowing that usual layer height is nozzle diameter/2 and layer width is 1.2nozzle diameter, divide the more realistic 30mm^3/sec to the widthheight and see the max speed you can achieve. That should determine the type of printer you use. Also remember the max speed is achieved only at long straight moves, acceleration plays a huge role, and accelerating a big heated bed with glass on top is not easy, while throwing around a light bowden hotend on a corexy is a breeze. Like comparing a narrow, curvy, mountain road for a big truck vs a sports car. The noise is dependent on the drivers, use tmc2100 or later (2108, 2130, etc) and all noise is gone. What control board to use is a whole new story. Funny you should mention that. At the school district where I work we have some Makerbot 3D printers. These use the Makerbot Smart Extruders. I can literally change the extruder in less than 10 seconds. I don't know if they have different types of extruders, but that would be nice. The back is magnetic (the four rounded tabs) with a spring loaded header and a locking shaft for the extruder motor (left of the pin header). Once your filament is unloaded, you literally pull the extruder off, and snap the new one on. If they had different extruder assemblies, it would be an easy change. Problem is, one extruder assembly costs just over $200 US. I am curious how retraction works with a volcano? As long as you are near the 30-35mm^3(cubic)/sec melting limit of the Volcano heatblock you are maxed out and can't go any faster in speed. Knowing that usual layer height is nozzle diameter/2 and layer width is 1.2nozzle diameter, divide the more realistic 30mm^3/sec to the widthheight and see the max speed you can achieve. Based on those assumptions, I calculate 41.7mm/sec as the max speed. accelerating a big heated bed with glass on top is not easy, while throwing around a light bowden hotend on a corexy is a breeze. Well, that does make sense. So, if a corexy has a faster print speed, I guess it will be coming from that. So, what kind of print speed improvement (as compared to an i3 design) does that typically translate into? By that I mean, is it typically, say, a 10% improvement, or is it as much as a 400% improvement? @neverdie that depends entirely on the part you print, big simple square piece, no cutouts equals less difference. Complicate parts, lots of direction changes, equals more time savings. Remember every printer will print slower than what the slicer estimates, slicers don't take acceleration time into account usually, or they use a very conservative value. Volcano is simply an extended e3dv6, maybe 1cm taller. You could just buy the volcano heatblock and nozzles and update an e3d. I have a lot of spares parts for hotends, handy. About printers, well, I already exposed my points. When i started, I hesitated to build an i3 Steel (i wanted something sturdy, I prefer sturdy/fast/precise CNC's machines, makes sense to me for a good start). Remember the first commercial slow color ink printers 20-25 years ago?? So I was going back&forth, read a lot, asked for advices to a few gurus on reprap forums, and finally I thank them and am happy with my choice. But this a choice by a "maker" (not "afraid" to build/study new things) + I like good stuff.. and it cost me less than an original prusa! approx 350, 2years ago. the X axis with its vertical rods which is the same on prusa though.. not the best if you have weight on your gantry. Here, I use bowden setup, so it's lighter&faster to move. but I'm not fan of this vertical rods strategy especially for direct drive. that can work, but can be limiting too at a moment. @dbemowsk I am trying to tune that at the moment! Lots of stringing. Are you using a thermocouple rather than the thermistor on your hotend? Since the E3D V6 has the capability of reaching thermistor destroying temperatures, I don't understand why a thermocouple isn't the default. I guess because it's not as accurate or something? If so, how is the lower accuracy of the thermocouple managed? @neverdie To be honest I use the cheap thermistors that came with the e3d clones I keep buying on ali. I don't care about accuracy, I print a temptower and decide the best value for a filament lot that I buy and a nozzle/heatblock I intend to use. A full metal heatbreak is all you need, a teflon lined heatbreak tops at 240-260°C, the thermistor can go up to 300°C, ABS needs 240°C at most, PETG 220°C, PLA 200°C. @neverdie I don't know what the limit is for a thermister, but depending on the material you are printing, be it ABS, PETG or the like, these should not exceed 260°c. I typically print my ABS and PETG at around 240°c and have never had any issues with the thermister. Boards that run skynet or marlin as their firmware should have thermal runaway enabled. This is my corexy workhorse, all metal, linear guides, has a few hundred hours of running without any trouble, only improvement I did was adding a piezo sensor for bed leveling. @executivul did you buy a kit? @gohan It seems the link @executivul provided is the kit. I wouldn't know how to order it, though, as I can't read Chinese. The price is certainly cheap though. Is it simply called a TaoBao 3D printer? Is there some other source for it? Guys the printer is a kit. I used the Android taobao app and contacted the seller, he was nice enough to arrange shipping via a Shenzehn shipping company and DHL, paymend via paypal, the guy is reliable. I've bought the mechanical kit only since I already had all the seppers and electronics from a Prusa i3 clone. For me this was the best printer I could buy in August 2017 for that kind of money, far better than anything on aliexpress or ebay back then and even now. He was talking about adding it to ebay, but I don't know if he did it by now. I just now ordered the Prusa i3 Mk3 kit. It won't actually ship though until after March 26. However, on the plus side I'll be receiving the powder coated spring steel build bed, not the PEI sticker used by the Mk2 that many of those who ordered before me received. I have had an OrdBot Hadron for quite a few years now and it has been serving me well except for one thing - the size 200x200 as well as height are sometimes a limiting factor and especially so since most heated beds are much colder towards the edges. So I decided to design and build a bigger CoreXY which is up and running now with a print size of rougly 450x450x500 mm. It is equipped with double E3D Bowden extruders and a 220V silicon heater for the alu printing bed. The whole process was of course time (and cost) consuming but it was really fun and a great experience. One essential aspect of all printing is to be able to keep the print volume warm to minimize warping etc. This means that the print volume should be enclosed and especially so when printing ABS and some others. @mbj Out of curiosity, when you built your CoreXY, what board did you use for it? RAMPS? @dbemowsk Yes it is a Ramps but in a way it is only "partly" used. The bed heating is, as mentioned, at 220V so Ramps is only used for the signal an external device. Same with the extruder heaters, i e the Ramps is used for a signal to a more robust device. This remedies some of the weaknesses of the Ramps card and enables heating of two extruders simultaneously. I have bought external drivers for the step motors as well but not yet found any reason to switch to these. So the motors are still driven by the 8225 drivers on the Ramps card. Presumably the Mysensors forum is not intended for discussions about 3D printers why I hope I have not violated any rules by jumping into the conversation. for print speed belt are better than a lead screw right? @gohan If we are talking about hobby stuff with comparable low cost the belt should be better but there are limitations like how much weight can be handled at high speeds without loosing precision. So it is a question with many answers depending on the circumstances. @gohan Yes, belts are inherently faster than a lead screw. Lead screws are typically used for the Z axis though as they are more precise. @gohan The beauty with a CoreXY is that both X and Y movements are handled by stationary motors which do not add any moving weight. Changing to lead screws means that most likely 2 motors are needed for Y (for a large design) and then another screw and motor for X and these will add to the moving weight. Of course a belt could also be used for X but the motor arrangement needed for this will still be a moving part. Even if my CoreXY is really big it can print with same or even better resolution than my old OrdBot Hadron which is so much smaller. The OrdBot has a direct drive extruder and also the X motor arrangement attached as a moving parts and this affects what printing speeds can be achieved at a given resolution. The CoreXY has a Bowden arrangement which further lowers the moving weight. This was a question that came up in one of the groups I am a member of for my Anet A8 as it has 2 motors for the Z axis that lifts the gantry. Wouldn't it be possible to use one higher torque motor for the Y axis and then use a notched belt between them? With two motors, you have the risk of one missing a step and then having to re-position your Y axis from time to time because of that. @dbemowsk For Z I have seen solutions with motors and belts so this is possible. It is just another piece to design and the motor need to be sized for both which might be a bigger problem with Y than with Z. I have never thought about it so it is just a guess. @pjr I guess the trick is to find a closed loop belt of suitable length and also make a screw design which can move enough sideways to tighten the belt. @mbj It would have to tighten and also not cause any binding of the Z axis during travel. I have see belt tensioner springs that snap on to the belt, but with this needing to be continual rotation, that wouldn't work. @dbemowsk I think that if pretty much nobody is doing that kind of setup, I guess the technical complications kind of outweight the benefits of using a single motor for Z axis, don't they? Tevo Black Widow uses a single z stepper with 2 screws. I'm in the middle of putting the Prusa IS3 MK3 together, and it is a lot of assembly. If it's true that the CR-10 can be put together in half an hour, then that's really quite impressive. @neverdie If it is anything like my Anet A8, mine took quite a few hours to put together. It looks like the MK3 has an all or at least mostly metal frame which is nice. The frame on min is laser cut acrylic and one of the big things with that is that the acrylic comes with a protective paper coating which needed to be peeled off prior to assembly. That part took over an hour in itself and was a pain. @neverdie the frame comes assembled is 2 pieces plus the control unit, so it is a matter of a few bolts and connecting the wires, nothing more. on the Prusa I3 MK3 SD Card. Not perfect, but I guess about par for a hobbyist 3D printer. Nice, a little stringing that you can solve with minor tweaks. What happened to the chimney? What happened to the chimney? Heck if I know. This is only the second object I've ever printed. However, if I had to guess, I'd guess that it's an artifact of the way it was sliced. Just for the box itself, not even including the lid, the estimated print time is over 5 hours! So maybe when the megavolcano hot end comes out, I'll look into getting one. What layer hight did you use? @gohan Sound like it was a gcode file on the SD card, so my guess is that he didn't slice it and may not know. A note though if you are looking at choosing a slicer. For most of the time that I owned my 3D printer I was using Cura as my slicer. I have recently done some things using Slic3r and I find that it has a lot more options and does an overall better job at slicing. I also recommend a rapberry pi running octoprint. Are any of the available printer filaments odor free? The free roll of Prusa PLA that came with my kit doesn't smell very good when printing with it. which claims to be "odor free." Well, here's hoping it is. Are any of the available printer filaments odor free? I myself have not tried any that are completely odor free. I haven't had too much trouble with the PLA that I have used, and I have tried a number of different brands. ABS smells a lot worse than PLA. @gohan I see. I thought you were referring to his benchy. PETG and PLA are easier to print. PLA is easier, but PETG is not hard to use, just need a few changes on settings for speed etc. better use different nozzles. one for PLA, and one for PETG. they don't melt at same temperature. So if you melt PETG and then would like to use PLA, then you could get clogging because of PETG residue not melting at PLA temperature. when sourcing parts on aliexpress for heatbreak etc (spare parts etc), it's good to remachine them. it can be a source of clogging too. They are not same quality as if you ordered them from e3d for example..
@executivul Doesn't Simplify3D cost $$$ though? Slic3r is free. Worth mentioning: in fooling around with the Prusa slicer, I noticed that the estimated print times for the I3 MK3 are almost half of what they are for the I3 MK2. I presume that can be attributed to the Trinamic driver chips and also, possibly, Prusa's custom firmware's ability to effectively exploit them. Not sure as to whether or not Marlin can yet do the same. I tried it, and indeed it seems to have no odor. Hopefully (?) it's also not giving off any emissions that I can't smell either. I upgraded my Prusa I3 MK3 to use a Volcano with a 0.8mm nozzle. Now I can print a Benchie in 16 minutes! For enclosures, the relative speed improvement should be even more noticeable. @neverdie Are you using an E3D J-Head with your Volcano hot end? I am in the process of working on an E3D clone J-Head setup with a Bowden extruder, but I went with the standard heat block and not the Volcano. @dbemowsk All I did was swap the E3D V6 hot-end for the volcano hot end. So, overall, it has pretty good dynamic range. @neverdie If you have an E3D V6, then you are running a J-Head. I assume you just swapped out the heat block? The Volcanos are like a standard heat block only stood on end.